The Lamborghini Aventador has been around for quite a while now. The V12 naturally aspirated supercar was released all the way back at the Geneva Motor Show in 2011. Since then the Aventador has gone to become the poster supercar. Everything from the then bonkers 700bhp 6.5 liter V12 to the outrageously aggressive styling and the blistering performance figures made it into not only one of the most popular Lamborghinis of all time, but one of the most famous supercars. But the V12 Lambo is starting to show its age, especially with its heavily criticized single clutch gearbox. But as always Lamborghini likes to send off its masterpieces with a limited edition run. 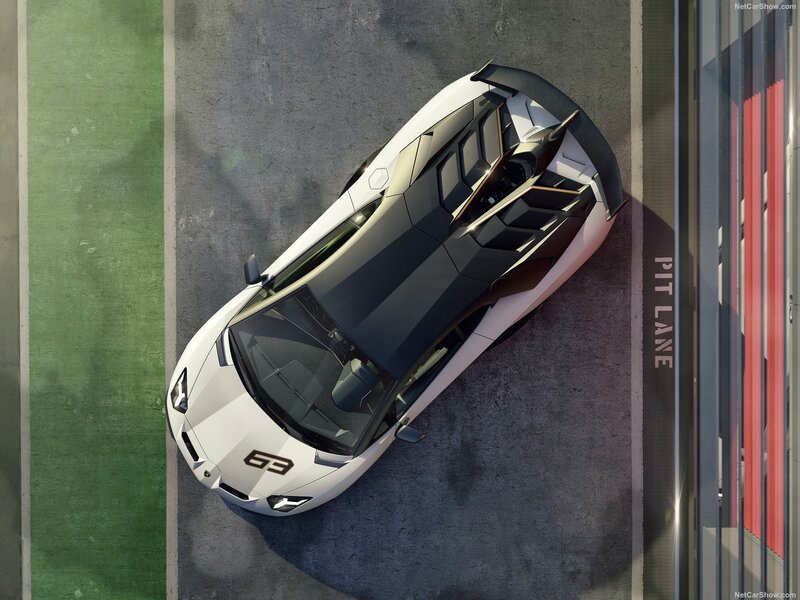 And the last limited run of the Lamborghini Aventador is going to be this brand new track-focused 2019 Lamborghini Aventador Superveloce Jota (SVJ). Lamborghini finally took the covers off the 2019 Aventador SVJ at this year’s Pebble Beach Concours d’Elegance and of course the company didn’t disappoint. New styling add-ons make the SVJ look like a proper track focused car. Around the front we get a brand new front bumper with a massive front splitter and redesigned air inlets, in addition to this, there are new air outlets below the front hood of the car that look like flared nostrils. Around the rear, we get a super aggressive and somewhat odd shaped rear spoiler that features a design similar to rear roof integrated rear spoiler we saw on the Mercedes AMG Project One. Overall Lamborghini has done an absolutely fantastic job at livening the V12 supercar before its set to be replaced by around 2020 to 2021. All these new air inlets and weird design changes given to the Aventador SVJ are functional as well. 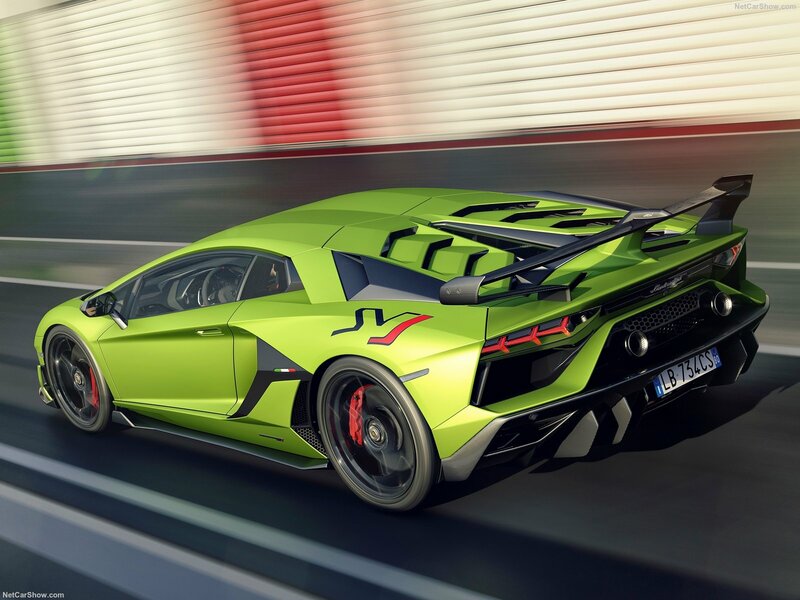 They all come under Lamborghini’s brand new trademarked Lamborghini Dinamica Veicolo Attiva 2.0 system, an updated version of the ALA that was first shown on the Huracan Performante. As a result of the brand new LDVA system, the Aventador SVJ produces 70% more downforce than already track focused SV. There is active aero all around the SVJ that helps redirect air to either side of tri-mount rear wing depending on which direction you’re going. All this should help the SVJ pretty much stick to the road when going around corners. The Aventador SVJ also features a much stiffer chassis than before. 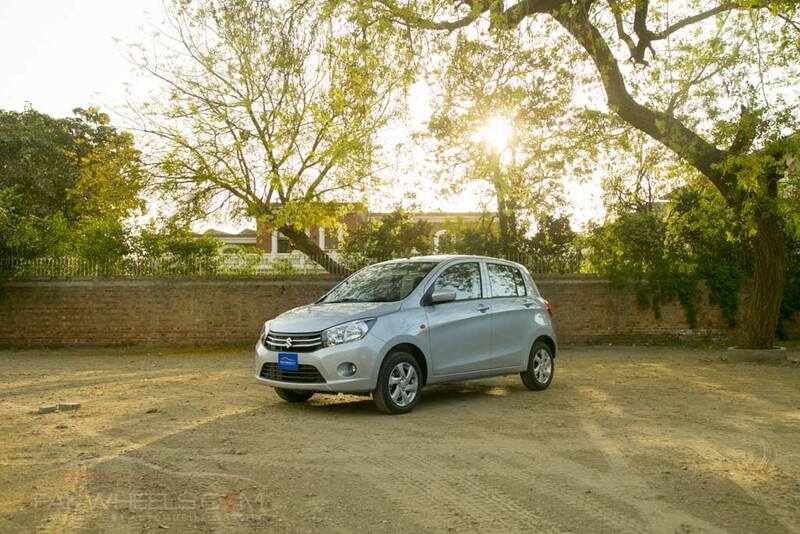 The anti-roll bars have been stiffened by up to 50% while the damping force range of the suspension has been increased by 15% in comparison to the previous SV. The SVJ is also more rear wheel drive biased now. The system now sends 3% more torque to the rear wheels, and with the tweaked rear wheel steering, it should make for some insane lap times. And speaking of the lap times, the Lamborghini SVJ is now also officially the fastest car to have ever gone around the Nürburgring-Nordschleife. 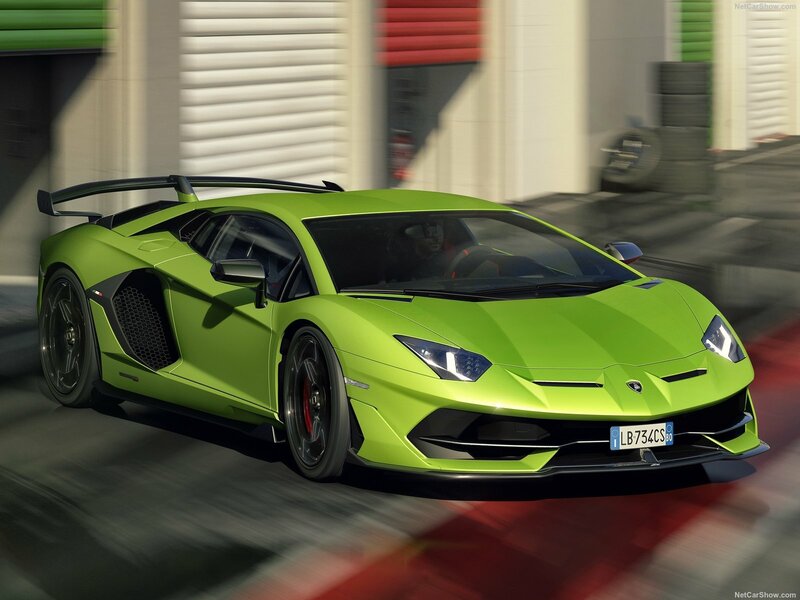 The Aventador SVJ set a lap time of 6:44.97 around the ring, beating out the previous champion the Porsche GT2RS by almost two seconds, a pretty notorious feat because the GT2RS is a 700bhp 911 coupled with Porsche’s incredible handling dynamics. And this old dinosaur with its massive V12 engine and single clutch gearbox managed to beat it. The 6.5-liter naturally aspirated V12 has also been given a power pump. Now it produces 770bhp at 8,500 rpm and 531 lb-ft of torque at 6,750 rpm. The SVJ is also lighter thanks to a stripped out interior that is pretty similar to the one we saw on the SV. Dry weight is around 1.5 tonnes. The 0-62mph time is the same at 2.8 seconds with a top speed of 218 mph. 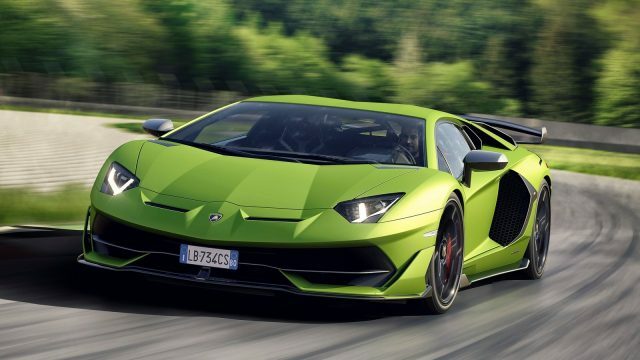 The 2019 Lamborghini Aventador SVJ will be limited to just 900 units, in addition to the special addition SVJ 63, which Lamborghini plans to build only 63 examples of. Prices for the Aventador SVJ are set to start at above the half a million dollar mark. Delivers are expected to begin at the start of 2019. Ain’t a sibling. It’s the same car. Aventador. On steroids.